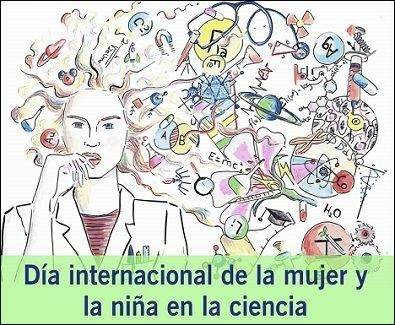 The University of Alicante Office of the Vice President for Research and Knowledge Transfer and the Gender Equality Unit celebrate the International Day of Women & Girls in Science with an activity day on Women in Science. On Monday, 11 February 2019, chairwoman of the Spanish National Research Council (CSIC), Rosa María Menéndez; director of the Institute for Women and Equal Opportunities(Ministry of the Presidency, Parliamentary Relations and Gender Equality) Silvia Buabent; director and professor of the UA Department of Physiology, Genetics and Microbiology Pepa Antón; and a PhD and director of the UA Department of IT Languages and Systems Paloma Moreda will offer their personal experience and professional career as women and scientists. A panel discussion on Women in Science will be moderated by Vice President for Research and Knowledge Transfer Amparo Navarro, who insists on the relevance of creating women's references in the field of science and technology to awaken scientific vocations among the youngest. In this sense, according to UNESCO data, only about 30 per cent of all female students choose higher education in the fields of science, technology, engineering and mathematics between 2014 and 2016. Prior to the round table, from 11:30 am in the Germán Bernácer Building assembly hall, the presentation of the project "Quiero ser ingeniera" (I want to be a female engineer), financed by the Women's Institute, will take place. Its goal is to increase the number of women in technological careers. The event will be attended by the UA Vice President for Corporate Social Responsibility, Inclusion and Gender Equality María José Rodríguez, director of the Women's Institute Silvia Buabent, director of Polytechnic School (EPS) Andrés Montoyo, and coordinator of the Undergraduate Degree in Multimedia Engineering Mireia Luisa Sempere. In order to complete the programme for the International Day of Women and Girls in Science, the UA Gender Equality Unit offers an explanatory tour on Equal Campus: pathways with a gender perspective to non-university educational centres in the province of Alicante. A different way of getting to know the Campus from this perspective, linking the different milestones and monuments that commemorate achievements recognised by women in science, architecture, sport, journalism, etc. The Public Adult Education Centre Profesor Alberto Barrios will take part in the event on Monday 11 February, from 9:30 am and the 3rd and 4th-grade students of secondary education centre Haygón of San Vicente del Raspeig will so on Friday 15 February, at 10 am. Finally, along the hall of Lecture Building 3, an exhibition (Con nombre de mujer) will bring together women scientists by revealing their contributions to social progress and development. Several panels will be displayed with information on women honorary doctors, the highest distinction awarded by universities to relevant people, and on the most relevant women scholars in the field of Computer Science.